G’day mate, forget about putting another shrimp on the barby, it’s time to go kangaroo hunting. Boku Slots has always dreamed of travelling to the land down under, but this is as close as we’ll come and we don’t mind. Let’s have a look at the interestingly named Redroo by Lightening Box Games and see just what Australia has to offer. 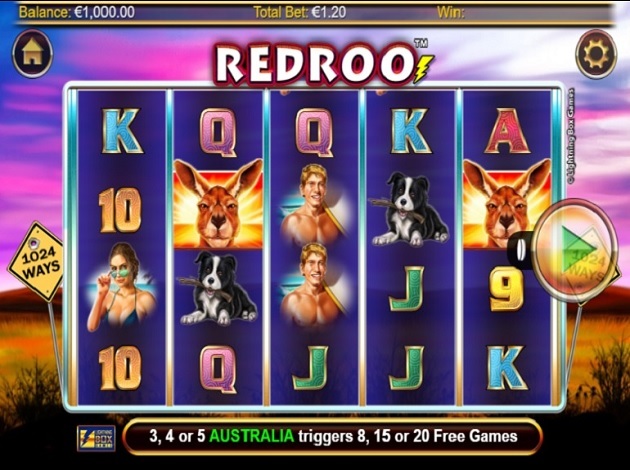 Redroo is a 5-reel, 1024 ways to win slot, offering an RTP of 95.3% to its natives going walkabout. 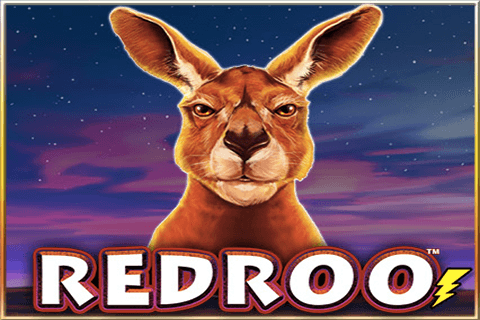 Set against the Australian outback and with didgeridoo’s playing along to give it an authentic feel, Redroo encapsulates the aussie lifestyle. Add to that the symbols used in the games which include Redroo himself, kookaburra’s, surfers and even Ayrs Rock. Bet Amounts – Betting on Redroo begins at 40p per spin and can be increased to a maximum of £280 per spin. Whilst the maximum bet can seem a bit steep on the pocket, there are lots of lower bet options available. Just be sure to amend it to suit your needs before you hit spin. Wild Symbol – Ayrs Rock is your wild and it will substitute for all other symbols except the Australia scatter symbol. It will only appear on reels 2, 3 and 4, and there is no other value to the wild in this particular slot, aside from the completion of winning combinations. Scatter Symbol – Australia’s outline is the scatter symbol on Redroo and landing 3 or more of these will trigger the bonus spins for you. The scatter is also the highest paying symbol in the game, offering 800 coins for 5 landed on a winning line. Five scatters awards 20 bonus spins. During the bonus spins feature if you land a wild on reels 2, 3 or 4 and it forms part of a winning combination, it will increase the win by either a x2 or a x3 multiplier. Land more than one wild in a winning combination and you will be in receipt of upto a maximum of x27 multiplier on that line win. You can trigger extra spins during the feature, by landing a minimum of two scatters on the reels. Whilst Redroo itself is pretty basic in design, it has been very enjoyable to play. The bonus spins feature can be extended time and again and prove very fruitful. It has an enjoyable look and feel to it as well making it very easy to play and it helps that the wins come often enough, to justify the lack of features.